Skyrim developers have been hard at work with the next downloadable content pack, named Dragonborn, for fans of the multi-award-winning game Skyrim. Bethesda, on their Fallout series, released five DLC’s before finishing the game and beginning work on a new title. We believe they will use this game ethic for Skyrim. 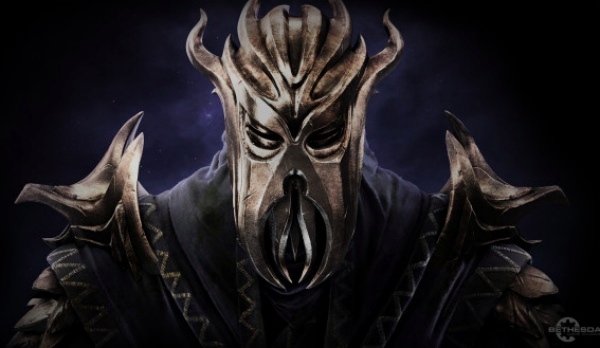 The plot on Dragonborn is about a Dragon Priest who would consume the Dragon powers and use it to control the areas around him. Unlike other Dragon Priests, who were the Dragon’s way of keeping the humans in check when humans were slaves to the Dragon race, this Priest seems to have went off the rails and decided he would take down Dragons. It plays on the part of the Dragonborn taking on another Dragonborn, the first, according to the small narrative on the trailer. You, as the Dragonborn will go to the island Solstheim, which is just off the border of Morrowind where the third Elder Scrolls game was set. We believe the plot is to stop the Dragonborn, the one you are trying to defeat, from fully coming back and taking over the island. It will be the first time the Dragonborn will come face-to-face with someone who acquires more than one ‘shout’, apart from the Greybeards. Sources indicate that you will learn a shout that allows you to fly with Dragons, and you may be able to take this back into the lands of Skyrim. There will be Imps, Bonemold, Stahlrim weapons and Chitin armors on this DLC too. We believe there will be some more shouts on this game as well, that you will learn throughout the DLC, to take down the first Dragonborn. The DLC is coming on December 4 to Xbox 360 for 1600 Microsoft Points ($20) – there is no news on PC or Playstation version yet, and we doubt they’ll be coming before Christmas. Here’s a link to the trailer.